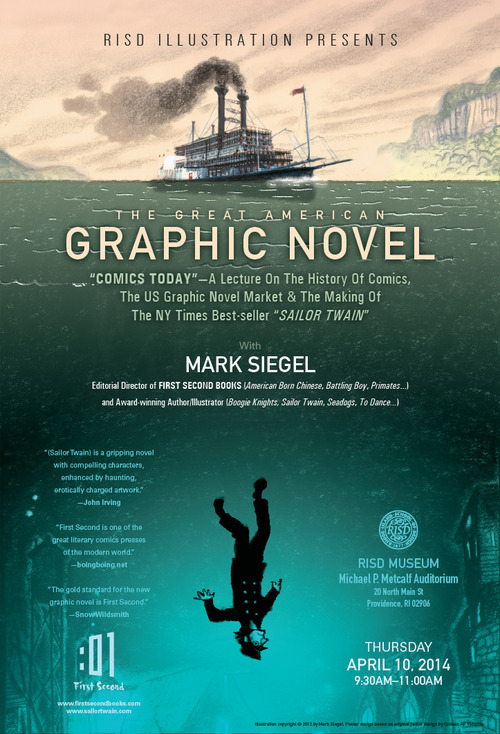 RISD students and I were honoured to greet Mark Siegel, pioneering editor of First Second Books and acclaimed author/illustrator of graphic novels and picture books (Sailor Twain, Boogie Knights, Sea Dogs, To Dance…). Mark held a workshop offering invaluable tools and insight to students for their creative life and presented a lecture at the RISD Museum’s Michael P. Metcalf Auditorium. 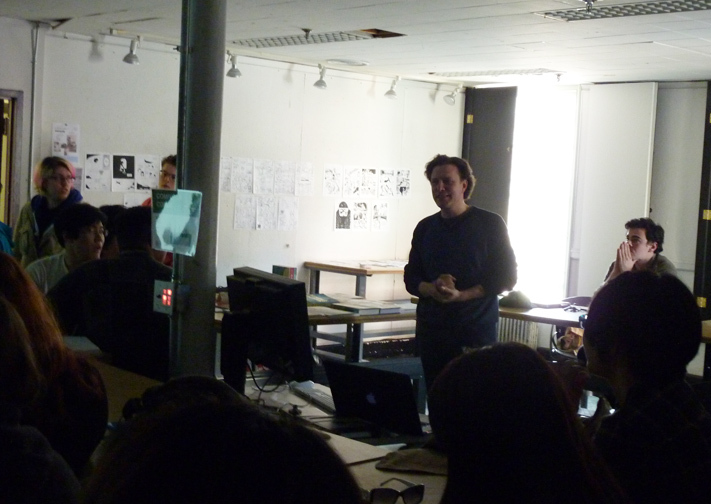 Mark, directing a workshop to the students of Paul Karasik’s CoMix class. Poster for the lecture, adapted from the beautiful original cover of Sailor Twain designed by Colleen AF Venable.